8th March – My beloved teacher’s birthday. 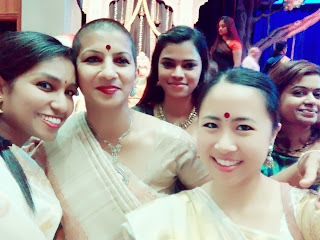 My teacher, Shrimathi Geethashankaran Lam is a name that don’t need any introduction in Malaysian Indian Traditional Dance such as Odissi and Bharatanatyam. If I start telling about how successful and established dancer she is, one day would not be enough for me. So, today I just want to tell about my personal experience with teacher. 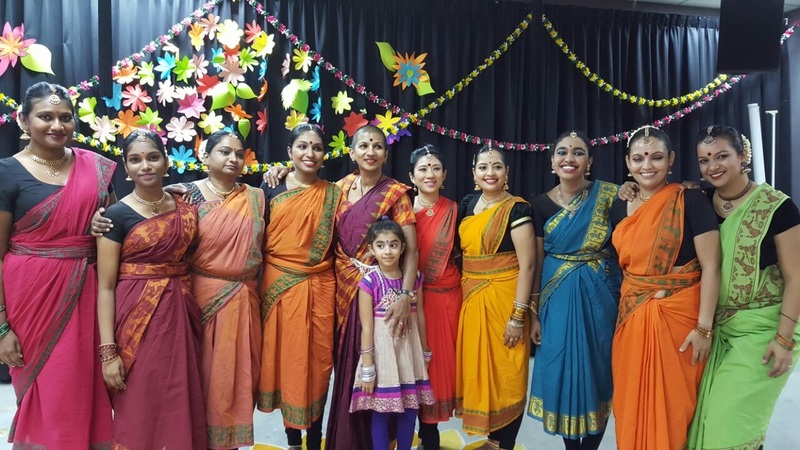 I am very much interested in learning Bharatanatyam since I was a small girl. 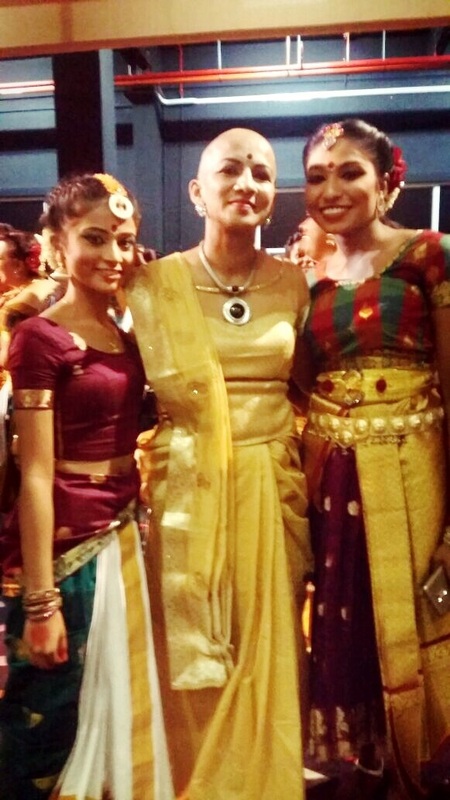 I admired the Bharatanatyam a lot and I am extremely sad that I did not get a chance to learn it while I was young. I still remember how I cried and asked my mother I also want to learn to dance. But, my parents want me to focus on studies only. I won’t blame them because we are from a middle class family and to be successful in life the only way we know that time was to excel in studies and get a good job. And, I also focused on my studies and scored straight As in all my public exams and did my matriculation, bachelor’s degree and master’s degree with scholarships and became a chemical engineer. Then, I started to work and life got too stressful. I wanted to do something I really like. Something different. 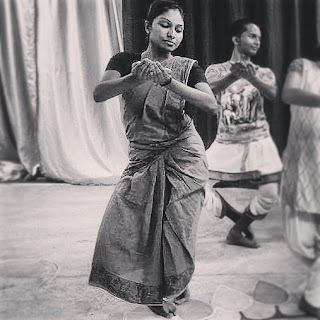 One day I simply googled about Bharatanatyam lessons for adults without any dance background. It was two years ago. And, I came across this advertisement about Geethashankaran Dance. I was scared to call so I just sent a whatsapp message to teacher’s number from the advertisment and asked I’m 29 years old and no experience in dance, can I still join the class? I received a reply mentioning class schedule. After that, I was still hesitating should I still go to learn since I consider myself too old to learn dance at this age. Then, I received another text asking am I coming. That moment I decided Ok I will go and give a try. After that the rest is history. First I thought it is ok if learn until I can get to wear dance saree. Then, I thought, it is ok if I learn until I join one performance. 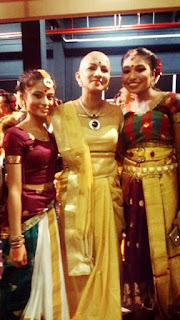 Then, I thought it is ok if I learn until I perform one full traditional Bharatanatyam item wearing bells. Now, I’m thinking I don’t want to stop learning dance. I want to learn dance as long as I’m allowed. That is why now I don’t want to go work at anywhere else other than Klang Valley. 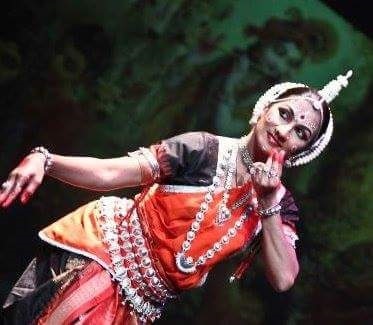 Doing Manchapravesh is a dream which is impossible for me but I still want learn as many Odissi item as I can. Because from starting to learn Bharatanatyam, now I have fallen in love with Odissi. Watching my teacher dance Odissi how not one person fall in love with Odissi. And, I have the privilege to learn Odissi with the legendary Geetha teacher. 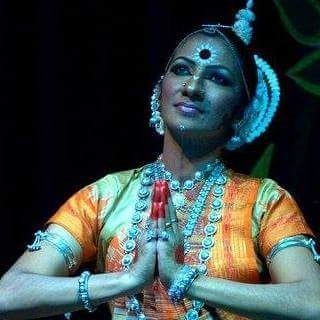 She is my inspiration to dance Odissi. Ok enough about how I started to dance. Now about my teacher. I’m learning with teacher for past two years. First look at my teacher will tell you she is difference from everyone else. She is with bald head. Yes, she shaves off her head. And she is a traditional dancer. Initially because I don’t know the reason I felt weird too. But after I learnt the reason, I started to respect her more. She is shaving off her head to destroy the impression that only beautiful people can dance. She want everyone means fat, dark, disabilities or whatsoever everyone can approach her easily. She is using the dance to healing people and yes my teacher into a lot charity works and helping people. My teacher is a very fun, strict, knowledgeable, beautiful, kind, funny, loving, brave, courageous, talented and so on and on. With teacher, I not only learn to dance but I learn to be confident, to feel beautiful, to be independent and to love myself. Not only changes in my body where I’m getting more flexible, from inside also I’m changing a lot towards a better person. I love myself more and love dressing up for myself and feel confident about myself. I want to help people more as much as I can. This is all because of my teacher. In regards of dance also, I’m someone who can’t even bend myself and touch my toes once upon a time but now I can bend my body into two. Miracle right?! I just love dancing now. This is something I look forward in my life now. And, I am learning Namami Mangalacharan and Sthai and want to show my teacher once I fully learn these two items. I am very glad that I came to know teacher and can be around her in my life. 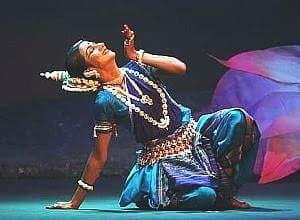 I don’t want to stop this relationship with her and if god allows I want to send my daughter too in future to learn dance with teacher and do both Bharatanatyam Arangetram and Odissi Manchapravesh which I’m not lucky enough to do in my this lifetime. Today on my teacher’s birthday I wish she will be blessed with endless happiness and abundance of health along with her beloved family. May god bless teacher always and many more students can learn dance with teacher. I love you so much, teacher.